A few weeks ago NuMe contacted me for a review, and after perusing their site, I knew I had to try the Ionic Dryer for two reasons. First, my Babyliss dryer I've had for about 6 years, while it was cutting edge when purchased, it's heavy and getting old. Second, I loved the zebra pattern. NuMe complimentarily sent me the dryer, and it arrived quickly after coordinating with them. The packaging was very sleek, modern, and matched the vibe of their website. After opening the box, I was anxious to try and immediately lifted it, pleasantly surprised at how light it is. I was also glad that it has a concentrator to direct the air, which my other dryer had too. The only thing I was confused about was why there were two concentrators. I would've loved to have a diffuser add-on. The dryer claims to cut drying time by 40% and beat frizz, and I can say that this is true. My hair is thick, and I have a lot of it. Drying can take me 20-25 minutes depending on how wet my hair is. Using the dryer a few times, I was able to dry using the NuMe dryer in about 12-15 minutes, on average. I also found that I didn't need to use my straightener as much after- just few a few touch ups. Overall, I am very pleased with the dryer. I will admit that it is a bit pricey. It would probably be something I would ask for as a birthday or Christmas gift. Check out NuMe for more products and their blog. Thanks again for sending along the Ionic blow dryer product! Update! 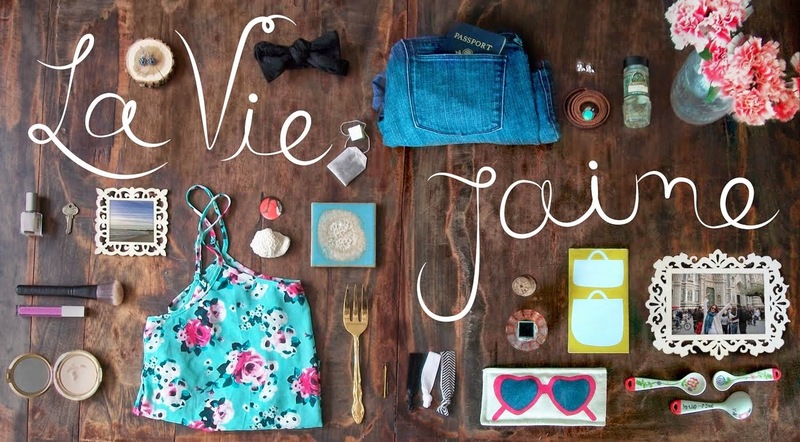 NuMe has graciously offered a special discount for La vie...J'aime readers. The discount applies to this package with a straightener, curling iron, accessories, and hair products valued at $500+!! Click here to view. Enter LAVIE11 at checkout from now until May 13 to get for $90. I like the look of it...I think I need a new hair cut to be drying first!!! can I have one?! ;) sounds like a great product. I'm always in the market for anything that makes drying my hair easier. I too have very thick hair that takes a long time to dry. May have to invest in one of these!! I do like the zebra pattern. I am due for a new dryer too..mine is getting old! That's awesome that it works so well and what a cool zebra print! i've had an ionic dryer for years and i love it! yours is way cuter though with the zebra print. mine is boring black. so fun! I think I need one. 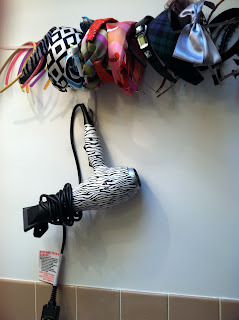 Life is too short not to have a pretty zebra print hair dryer! what is not to love about the zebra print???? great review! It's cute s I'm glad it had some great functionality as well. You have great reviews; practical and fun at the same time! It's super cute! :) Good review! I love your headband holder - super cute! I recently got a new hairdryer too and it dries my hair in about 5 mins instead of 10-15 like my old dryer. Ionic dryers are the best! I need some headband organization like you have there! Just noticed you have a new blog about bridesmaid dresses? It's so cute! congrats! It looks & sounds amazing AND I could really use a nice hair dryer! How fun that you got to review this product! I love the zebra print! It sounds like the dryer worked out really well! omg it looks so cute. i would love to dry my hair with a zebra print hair dryer. so divaish. that dryer is so fun! i actually am in the market for a new hair dryer. i tend to let my hair air dry but it's such a pain and usually doesn't end up looking as good, even when i use my straightener after the fact. Def. A lot cooler than my hairdryer!! Have a fab day!